The Food and Drug Administration (FDA) recently approved a novel treatment that eliminates double chins without the need for surgery. Kybella is comprised of synthetic deoxycholic acid, which dissolves pockets of submental fat through a series of injections. If you’ve always dreamed of a chiseled jaw line, or have been bothered by a double chin, this minimally invasive treatment may just be the solution. For years, liposuction was the go-to procedure for patients wanting a tighter, firmer jaw line. But lipo requires local sedation, is more invasive and carries risks. Clinical trials with Kybella have been extremely promising, with a more than 80 percent success rate. Bruising, swelling and redness are the most commonly reported side effects, and most resolve within a few days of treatment. Deoxycholic acid is naturally produced by the liver to help break down fats, and surgeons abroad have been using the compound for years to help eliminate body fat in specific areas. The FDA only approved Kybella for under chin treatment after successful clinical trials. New York City plastic surgeon Dr. Thomas Loeb predicts that Kybella will become popular among both male and female patients who want a more youthful-looking profile. And since most patients prefer the ease and simplicity of non-invasive facial rejuvenation, this injectable may soon become commonplace. For those considering Kybella in NYC, the number of required treatments will vary. The FDA says that Kybella may be injected up to 50 times per session, but some patients may need far less (somewhere in the range of 15-20). Treatments are spaced four weeks apart, with a maximum of six sessions in total. The majority of people who have a moderate amount of under chin fullness will need two or three appointments to achieve desired results. And just like Botox injections, Kybella treatments only take 15 minutes, making this easy to fit into your lunch break. However, not every patient is an ideal candidate for this double chin fat zapper. Those who have excessive amounts of sagging or loose skin under the chin will only realize part of the benefits, as trials have not proven that Kybella can truly tighten the skin. In these cases, a so-called “turkey neck” can be remedied with a traditional neck lift. According to the American Society for Dermatologic Surgery, 70 percent of patients (including both sexes) are frustrated by extra fullness under their chins. Now, patients seeking double chin treatment in Manhattan have a nonsurgical and non-invasive option with Kybella. A double chin, whether resulting from diet, aging or simple genetics, can add both pounds and years to a person’s face. This June, Dr. Loeb will be offering this groundbreaking treatment in his NYC plastic surgery practice. 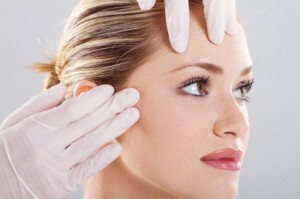 A front-runner in anti-aging skin treatments, Dr. Loeb also offers skin plumping injectables such as Radiesse, Juvederm and Restylane along with photofacials and Botox. To learn more about Kybella or other innovative facial rejuvenation treatments, we invite you to call 212-327-3700 to schedule a one-on-one consultation.